The 2012 Winter Classic between the New York Rangers and Philadelphia Flyers marks the fifth year for an event that started as an experiment to provide unique television content for NBC on New Year's Day. It has now grown into a traditional holiday "classic" in the true meaning of the word that grows in popularity year after year. The HBO 24/7 program has also become a staple for sports fans everywhere. In a turnaround from last season, the Predators collected their sixth point in three games from the St. Louis Blues with a 2-1 shootout win last night after only getting five last season when they went 2-3-1 against their division rival. The Preds picked up a point on the Blues and two on Detroit and are now in seventh place with 44 points, three behind both teams and four back of fourth place Minnesota in the tightly bunched Western Conference race. There remains no projection of when Shea Weber or Kevin Klein will return but the Predators have won two of three without the captain which is a real tribute to the organizational depth. The Predators will open the new year at 5 p.m. tomorrow against Calgary at Bridgestone Arena before having three days without a game for the first time since the opening week of the season when they did not play from October 9-12. For the second game in a row and the second straight game against St. Louis, the Nashville Predators headed to the shoot-out to decide the outcome of Friday night's contest against the Blues at the Scottrrade Center. The result was the same as the other two games with the Predators winning in the skills contest when Marty Erat was the only shooter of ten to score when he went glove high on Jaroslav Halak in the top of the fifth round to give the Predators the 2-1 victory. The only two goals in regulation play came from the Preds' Matt Halischuk at 2:16 in the opening period on a broken play and from T.J. Oshie at the 13:40 mark in the same period. No one could find the net for the next 51:20 of play so the game proceeded to the shoot-out. It was a goaltenders battle as Pekka Rinne stopped 35 of 36 Blues shots, and all five in the shoot-out, while longtime Preds' nemesis Jaroslav Halak stopped all but one of the Preds' 34 shots during full-ice play. The win was the third in a row over St. Louis this season and puts the Preds three points behind the Blues in the standings to finish the calendar year 2011 with a 45-27-9 record. The Predators returned home immediately after the game and will play Calgary in a special 5 p.m. start at Bridgestone Arena on New Years Day. Saturday's Winter Classic Alumni Game has been pushed back two hours to 3 p.m. local time. It sounds like the old guys are ready to get the game going. Adrian Dater is on a campaign to move some of the future Winter Classics to the west. NHL.com has a behind the scenes look at the Winter Classic for Danny Briere. Dan Rosen reports that the rink is ready and the weather is looking much better. EA Sports simulation has the Flyers winning Monday's game. Sean Avery has been placed on waivers and could be gone before the Winter Classic. The Flyers had their last warm-up for the Winter Classic in Pittsburgh in a huge rivalry game where Jaomir Jagr returned to his old stomping grounds. The Rangers wind up their preparations in Florida tonight. If you ever belly up to a free salad bar and view it as a competition to see how much you can pile on your plate, then here is a guide for you. I employ some of the same tactics at Mongolian Grill. Due to year end and getting ready for the trip to the Winter Classic, we didn't have a full pregame report for tonight's Predators at Blues game. We would have discussed that to date, in the calendar year 2011, the Preds are 44-27-9 including an 18-13-4 mark during the current season. Also, it will be the Predators third meeting with the Blues and second in the "Gateway to the West" this season. The Predators won 4-2 on the road on October 8, which was their second game of the season. They also bested the Blues 2-1 on December 17 in an overtime shoot-out game at Bridgestone Arena. For full previews, check out Ryan Porth, Amanda DiPaolo, The Tennessean, Dirk Hoag, Predatorial, Paul McCann, Fang Finger, and Preds.com. Ryan Porth also has an audio clip of Matt Halischuk previewing the Blues. The latest on the injury situation includes the Preds not being in a hurry to rush Shea Weber back and Kevin Klien being out again tonight. Josh Cooper also previews the light-saber battle between Barry Trotz and Ken Hitchcock. Jim Diamond looks at Barry Trotz as the 24/7 viewer of his friend John Tortorella. He also looks at the 2009 Preds NHL Entry Draft picks making an impact in the NHL. J.R. Lind's Hippodrome is becoming an anticipated Friday favorite as he rounds up the Smashville sports scene. 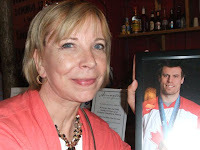 Puck Daddy named Shea Weber as one of the top ten NHL players of 2011. John Manasso looks at the NHL's concussion problem and Shea Weber's situation. Mark Willoughby has his year ending "My View" at The View from 111. One of our favorite space watchers, Joe Rao, has the top 12 must see space/sky events or "skylights" for the coming year. We are pleased to present Nashville Predators COO, Sean Henry as our guest on this week's edition of Smashville On The Glass Radio. We had an extended discussion with Sean about all things Predators and Bridgestone Arena. Under his direction the arena will finish in the top five facilities nationwide when the year-end rankings are released. Sean explained the transformation of the arena from a good venue to one of the top buildings in the world that has become a "must" stop on all large entertainment tours. Sean also gave plenty of insight as to what his team has accomplished to this point and what to expect in the future. As he states in the interview, "The building is in a constant stare of renovation." Local critic, Phil Williams would be jealous of all the information that you, our listeners, are privileged to hear from one of the top guys in the Predators front office. Toward the end of the show, Ryan also had an interview with Ryan Ellis, discussing his promotion and Kirk Muller leaving in Milwaukee. You can listen in the following player or go to Blog Talk Radio or iTunes to download. The NHL Networks complete coverage of the 2012 Winter Classic between the New York Rangers and Philadelphia Flyers began on Thursday night and will run until Monday's post-game show. NHL network will broadcast its shows daily Philadelphia's Citizens Bank Park. 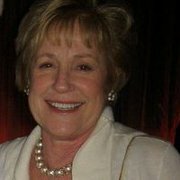 From NHL.com, "Deb Placey, EJ Hradek and Bill Pidto will bring the popular daily afternoon show NHL LIVE to Philadelphia. The rest of the NHL Network broadcasting team -- including host Kathryn Tappen, analysts Barry Melrose, Jeremy Roenick and Kevin Weekes -- will report from field level at Citizens Bank Park. Reporter Heidi Androl will check in from Spectator Plaza, a free, three-day fan festival just outside the gates of Citizens Bank Park. NHL Network talent also will provide intermission reports from Citizens Bank Park during the U.S. broadcasts of the 2012 World Junior Championship on the Network." The network will also provide weather updates from the Weather Channel. Mark Recci will also be a guest analyst throughout the coverage. One of the highlights of the coverage is the Molson Canadian 2012 NHL Winter Classic Alumni Game, featuring some of the biggest names from Rangers and Flyers past. The centerpiece of the holiday coverage is obviously the Winter Classic game itself which will be broadcast on NHL on Monday at 1 p.m. EST. The NHL Network will provide pre and post game coverage surrounding the main event. Don't expect to see Sidney Crosby back anytime soon. USA Today now has a concussion tracker. Adam Proteau has a variety of year end top fives. Chris Johnston looks ahead to the future of the Winter Classic with John Collins. Sean Fitz-Gerald has a nice piece about Donald Fehr at The National Post. Nick Cotsonika says the Boston Bruins are better this year than last year. Glendale, Arizona City Manager, Ed Beasley, who was a major player in building up the sports complexes on the west side of Phoenix is planning to retire. The Arizona Republic has a nice feature on his accomplishments. It has been six years since Jiri Fischer collapsed behind the bench in a game against the Nashville Predators. He is now an assistant coach for the Czech Republic in addition to his duties in player development for the Red Wings. A new study indicates that teens are more likely to drive and drink on New Year's Eve than any other time. Ryan Porth looks at all the Predators' success in 2011. Shea Weber's agent thinks that the league should have done more after the hit to his client. Pierre LeBrun is reporting that Weber will miss Sunday's home game with Calgary in addition to Friday's game in St. Louis. David Boclair looks at the Predators big step of committing a large contract to Pekka Rinne this year. Blake Geoffrion talked about his demotion to Milwaukee after last nights's Admirals 4-2 win over Chicago. Pekka Rinne had two of Puck Daddy's top ten saves of the year. Dirk Hoag has an inspirational video to cap his afternoon post. There is a second web site devoted to Pekka Rinne with PekkaRinne35.com. The Harvard Business Review has an expose on swearing in the workplace and how to properly do it. The Nashville Predators will host an open practice and public skate at A-Game at 215 Gothic Court near Cool Springs in Franklin on Tuesday Afternoon. In addition to the Preds' practice and public skate, there will also be an opportunity for player autographs. As I wrote in yesterday's pre-game assessment, last night's contest was one that was set up to be one in need of a true "Predator way" win where all 20 players pulled on the rope equally to gut out a victory in spite of being somewhat under-manned, without Shea Weber and Kevin Klein. That was exactly what transpired. For 65 minutes it was a down in the trenches battle and the outcome rested on Colin Wilson's shoot-out efforts. It was important for the Predators to win a game that was based in the DNA of the team's history. Hopefully, it will be an event that helps them recall the "band of brothers" approach that has been the key to the team's success over the years. The three rookie defensemen played well again and Gabriel Bourque received praise from Barry Trotz after the game for his first NHL game. After 65 minutes of play the Nashville Predators and Minnesota Wild were knotted 1-1 and it took a lone shootout goal from Colin Wilson to give the Predators the victory and pick up the extra point. Pekka Rinne was much improved over his efforts in the last few games, allowing a single goal and making 34 stops during full ice play and all three shots in the shootout. Josh Harding stopped 24 of 25 Predator shots and allowed one of two in the skills competition. The game was scoreless until the third period when Jon Blum sent a shot through traffic that was tipped by Jordin Tootoo into the net to give the Predators a 1-0 lead at 7:00. The lead look like it could stand until Dany Heatley scored on a wraparound after a broken play with 3:59 left in the game. The teams traded power play chances in the waning minutes of the contest but neither team could convert sending the game to overtime and guaranteeing both squads a point for the night's efforts. Neither team dented the net in the extra period but Minnesota out shot the Preds 4-0. Gabriel Bourque made his NHL debut and skated ten shifts for 8:05 in ice time and was credited with a take-away and a blocked shot while showing the aggressive play that earned him the promotion. With the win, the Predators moved past the idle Dallas Stars into seventh place in the Western Conference with 42 points. The Predators now travel to St. Louis for a game against the Blues on Friday night that will close out the schedule for calendar year 2011. The Nashville Predators made a couple of more roster movies today, sending Blake Geoffrion to Milwaukee and placing Kevin Klein on injured reserve. Klein has missed four games due to illness. After the most tumultuous two days in recent Nashville Predator history, the team will search out a way to play "Predator hockey" tonight against the slumping Minnesota Wild and carve out a win to attempt to end a two game losing streak. The Preds have had an extra day to prepare for playing without Captain Shea Weber, who was ruled out of tonight's contest and is considered "day to day" with a concussion. Along with Kevin Klein's flu-like symptoms, the team was forced to play with three rookies on defense in Monday's 4-1 loss to the Detroit Red Wings. The three rookies performed admirably in the contest and were actually some of better players on the ice against the Wings. Ryan Ellis played well in his NHL debut. Roman Josi stepped up to first pair duties, and Jon Blum scored the Preds' only goal in one of his better recent performances. What appeared to be missing against the Wings was the team's swagger that Weber gave them on special teams as well as in five on five play. The Preds entered Monday's game ranked second in the NHL on the power play and went 0-5 on the man advantage. They out-shot Detroit 32-22 but only managed the single goal. Without Weber's gritty determination, presence on the ice, and will to win, the Wings appeared more patient and were able to withstand the Preds' attack. Nashville is hoping for better results against the Wild who have lost seven games in a row and fell out of first place in the Northwest Division on Monday night with a 4-2 loss to the Avalanche. Nashville has played well recently, winning six out of seven before losing the last two games. They remain in second place in the league on the man-advantage (21.6%) and were in the top half on the penalty kill until the recent stumble against Columbus last week. The Predators have long been known for their own special brand of being able to rise to the occasion and playing a twenty-man game regardless of who is able to suit up for a given game. They have previously stated that it takes a "core" of close to thirty players during a season and have had the depth to plug and play role players to fill in when injuries arise. Tonight's game at Bridgestone Arena will be one of those "given" games when the system, a.k.a. "The Predator Way," will have the opportunity to rise to the occasion and win a game that may seem improbable on the surface. Goalies have not been announced by either team so any combination is possible. The Predators have started Pekka Rinne (16-10-4, 2.70, .916) in 32 of 36 games but he has allowed 12 goals in his last three games after winning NHL weekly second star honors earlier this month. Anders Lindback (2-4-0, 2.75, .893) could be a surprise starter. The Wild have done well using the tandem of Niklas Backstrom (11-9-4, 2.31, .925) and Josh Harding (7-3-1, 2.13, .932) this season. Backstrom has lost five in a row and Harding has not won since December 4. Rookie Matt Hackett, (2-0-0, 1.01, .974) who is also on the roster, won two games in early December. In summary, tonight's game should be a battle between two teams desperate for a win and plenty on the line as the Wild hope to turn things around and the Predators want to find the "Predator way" once again. For other Predator previews check out Ryan Porth, Amanda DiPaolo, Robby Stanley, and Predators.com. For previews and information from Minnesota, check out Wild.com, Minnesota Star Tribune, Pioneer Press, View From the Lighthouse, and Hockey Wilderness. Forward Gabriel Bourque can be added to the list of young Predator prospects that have made the journey from Milwaukee to Nashville this season. The club announced his recall late Tuesday afternoon. It is unclear what precipitated the move at this juncture. Make the jump for the full release from the Predators. The Predators lost to Detroit 4-1 in a game that was much closer than the score. The Preds out shot the Wings 32-22 and appeared competitive throughout the contest. As is is often the case when Detroit hits the ice, the Wings take advantage of almost every miscue that the opponent makes and that was indeed the case on Monday night against the Predators. Jimmy Howard was outstanding and held the Preds scoreless until the game was all but over. The Predators power play, which has been their bread and butter lately, sputtered, going 0-5 without captain Shea Weber. The loss was somewhat overshadowed by the mysterious injury to Weber. Weber skated off the ice after a few minutes at the morning skate on Monday morning and then left the building before speaking to Coach Barry Trotz. In the postgame presser, Trotz could not answer any questions about the injury as he simply did not have a report. More should be known later today after the team receives a report. Here is the video of the Marc Fistric hit to Shea Weber at the end of Friday's game in Dallas that is speculated to have have sidelined Weber. With no factual information, everyone is left to let their imaginations run with the nature of the injury. The Nashville Predators played well enough to win on Monday night but fell to an opportunistic Detroit Red Wings team 4-1 at the Bridgestone Arena. Going into the game, you would have thought that the Predators starting three rookie defensemen, including Ryan Ellis making his NHL debut, would have been the team's downfall, but that wasn't the case. The Predators were missing Captain Shea Weber, who had an unexpected injury that many have speculated to be related to a hit to the head by Mark Fistric, late in Friday's game against Dallas. Kevin Klein also missed his fourth game in a row due to flu-like symptoms. As a result of the injuries, Roman Josi was moved into the top paring with Ryan Suter and responded well, playing a season high 22:07 and firing three shots. Fellow rookie, Jon Blum scored the game's only goal and had three shots in one of his better games in a while. All eyes were on Ryan Ellis in his first NHL game. He played 18:13 and was credited with three shots, two shots blocked, and a missed shot. He also delivered a pair of hits and blocked two shots. Colin Wilson commented on Ellis, "He did well and moved the puck well. He held his own in the defensive zone. He did well, not bad for a guy who came in before the game." Ellis was surprised as anyone on his call up. "I found out this morning around 11 o’clock. We had just finished our morning skate in Milwaukee. They called me into the office and told me I was going up. Rather than take a nap, I got on a plane and headed to Nashville." As to his first game, Ellis said, "I was nervous. It was a lot of fun. The guys made it easy. I thought it was alright, I just need a chance to get comfortable." The real culprit for the Predators was Detroit goalie, Jimmy Howard. Barry Trotz explained, "We held them to 22 shots, we had more chances. The star of the game was all Jimmy Howard." Detroit was very opportunistic, scoring four goals on 22 shots, getting a pair of goals from Valtteri Filppula, and one each from Pavel Datsyuk and Dan Cleary. Wilson was pleased with the team's effort but not the result. "We got some good chances. We got some shots. Obviously it wasn't the game we were wanting to play burying and having more energy. We did a great burying but we could have done better." Another area where the team missed opportunities without Weber was on the power play. Coming into the game, the Preds were ranked second in the NHL but were zero for five on the evening. Wilson explained, "The power play could have been a lot better. At the end we started getting some chances. Marty's unit was doing well. A couple of bounces could have gone in but didn't." The outlook for Weber's return was unclear and Trotz indicated that the team would know more on Tuesday. The young Predators defensemen will have another challenge on Wednesday night when the Minnesota Wild come to Smashville for a 7 p.m. puck drop when the Predators will try to hold on to eighth place in the Western Conference standings. The Nashville Predators announced that Ryan Ellis would make his NHL debut in tonight's game against the Detroit Red Wings at Bridgestone Arena at 7 p.m. (FS-TN). Nashville, Tenn. (December 26, 2011) – Nashville Predators President of Hockey Operations/General Manager David Poile announced today that the club has recalled defenseman Ryan Ellis from Milwaukee (AHL). The Freelton, Ont., native is scheduled to make his NHL debut tonight against the Detroit Red Wings. Ellis, 20 (1/3/91), is tied for ninth among American Hockey League defensemen, and tied for first among rookie blueliners, in points with 17 (4g-13a) in 26 games. One of the most decorated defensemen in Canadian Hockey League history, Ellis became just the third d-man in Ontario Hockey League history to record 300 career points (73g-241a-314pts, +145, 207 PIMs, 226 gp), joining Rick Corriveau (329) and Denis Potvin (330) a season ago, winning the 2011 Red Tilson Trophy awarded to the OHL’s Most Outstanding Player of the Year, the 2011 Max Kaminsky Trophy for the second time in three years as the League’s Most Outstanding Defenseman of the Year and the Mickey Renaud Captain’s Trophy for leadership on and off the ice. The 11th overall (first round) selection in the 2009 Entry Draft is also one of just seven players to represent Canada at three straight World Junior Championships (2009, 2010 and 2011), and just the fourth Canadian ever to win three medals at the WJC. With 25 points (5g-20a) in three tournaments, he is the all-time leading defensive scorer in the history of the event. Fresh off the two-day Christmas break, the Predators will look to make it six consecutive home victories tonight when they host the Detroit Red Wings (7 p.m. Fox Sports Tennessee, 102.5 The Game). The Preds will continue to enjoy home cooking for the majority of the next two-plus weeks with seven of their next nine game to be played on Bridgestone Arena ice. Tickets are available and may be purchased at nashvillepredators.com, ticketmaster.com or by calling 615-770-PUCK (7825). Tor the second night in a row, the Predators gave up a clump of goals in a short period of time, but on Friday night at the American Airlines Center there wasn't enough elfin magic to overcome the deficit. In the middle of the opening period Dallas got goals from ex-Pred Vern Fiddler, Loui Eriksson, and Steve Ott in a 3:05 minute cluster. Pekka Rinne was pulled after giving up the three goals on seven shots. The Predators tried to mount a charge in the middle of the second frame with a goal from Matt Halischuk and a power play marker from Marty Erat to pull within one at 3-2. Mike Ribero gave Dallas a two goal cushion 2:25 minutes later which is how the period ended. After a strong push at the start of the final period, David Legwand scored a power play goal to close the gap to one at 4:38 but it was answered thirty seconds later by a goal by Jamie Benn. An empty net goal by Michael Ryder with 2:07 left in the contest was the icing on the cake for the Stars and ended the Preds' comeback chances. After two days off for the Christmas break, the Predators will return to action Monday night at Bridgestone Arena against the Detroit Red Wings at 7 p.m.
Mark Willoughby joined us on this week's episode of Smashville on the Glass Radio in a fun-filled episode where Ryan and Buddy were delirious from sleep deprivation and Mark was his usual self. 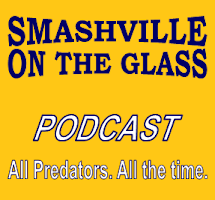 It was a fun show where we looked at recent happenings in Pred Nation as well as took a look back at the Predators during the calendar year 2011. We also found the secret to how Ryan keeps his focus as a young man in the big city. You can listen to the show in the player below or download at Blog Talk Radio or iTunes. The NHL announced the plans for televising the Winter Classic Alumni Game across North America this morning. This will be the first time that it will be televised on a widespread basis as the pre-event gains in popularity. Make the jump to get all the details as they apply to you area. The Columbus Blue Jackets woke up this morning and are still asking themselves what happened last night in Smashville. They were up by three goals twice and still managed to go home with their tails tucked between their legs with a 6-5 loss. Ryan Johansen, who had two goals for the Jackets lamented, "It’s not the first time we’ve had a couple goal lead and we’ve ended up losing. We’re going to have a few days off here to regroup so hopefully we can spend some time with family and kind of forget about what has happened, and move on." You really have to wonder if Columbus coach Scott Arniel will still have a job at the end of the Christmas break. It is really hard to believe that with all the coaches that have been fired in the NHL this season that he hasn't been a casualty also. For the Predators, it was another incredible victory that is really beyond the imagination of most Predator fans that rarely see a six goal offensive outburst from the team. The Predators, going two of three on the man-advantage, was a key. The win pushed the Preds back in to seventh place in the Western Conference with 40 points, one point ahead of Dallas who they will face tonight at American Airlines Center at 7:30 p.m. The Nashville Predators did the unthinkable with a second straight miracle comeback victory against division rival, Columbus at the Bridgestone Arena on Thursday night. Preds coach Barry Trotz was elated after the game. "We had a comeback the last game we played in their building. They’re up two goals with two minutes to go in the game and we come back and win. We knew that if we could just stay in it long enough that they would be a little bit nervous, that’s just the way their year has gone." "We stayed with it and got rewarded. That to me was a huge character victory. We could have quit many times during that game. Every time we got a little momentum, they scored, and we stayed with it. To me that shows great character and that’s something you can’t teach." Martin Erat's breakaway goal with 8.4 seconds left on the clock broke a 5-5 tie to give the Preds a most unlikely win after the team was down by three goals twice. Scoring the final four goals of the game was the the story line of how the Preds were able to overcome a seemingly insurmountable deficit. The Predators were never really outplayed by the Blue Jackets but gave up three goals in 1:39 period during a Brian McGrattan interference major that got him booted from the contest late in the opening period. In spite of being down 4-1 at the end of the opening period, Trotz was still positive. "I said after the first period that it came too easy. I’ve seen this so many times in the past where something comes too easy for a team and you get a big lead and all you have to do is chip away because there’s a ton of time left and we did that." Trotz continued, "I thought the whole key was the shift that Nick Spaling, Jordin Tootoo, and Colin Wilson had - they got the goal right back (8:53, second period to make it 5-3). They got the momentum going again and we were within striking distance so we stayed with it and a lot of credit to everybody." Nick Spaling's value to the team continues to grow. In addition to the key goal, he had three shots, was a plus one, and had 20 face-offs, going 12-8, to tie David Legwand for the most in the game. "It's nice to be able to contribute offensively and the faceoffs, I need to keep going on those." Spaling explained how big the turn-around win was for this team. "It's huge. Going down early like that can deflate you on the bench but we stuck with it and played the second and third the way we were supposed to." He continued, "Our first (period) was lacking of some details that we talked about before the game and we turned it around in the second when we started to play our game again. We need to work on putting the whole sixty minutes together." Spaling gave his version of what the team was told during the first intermission. "We were told that we need to body up. They've got big skilled guys and that we need to take time and space away, block shots, stop letting them get second chances, and play our game." Pekka Rinne got the win in spite of giving up five goals to improve his record to 16-9-4. The plan is for him to play again on Friday and Trotz did not lose confidence and pull Rinne in spite of the Columbus offensive outburst. Trotz explained, "It was one of those games where everything found the back of his net. I thought Peks played well but it was just one of those nights where it was some good goal-tending and some lucky breaks (for Columbus)." Spaling looked forward to Friday's game in Dallas and the take-aways from Thursday's win. "The guys are pretty high right now but we need to look at our first period and build to play a whole game but a win like this is big and makes us feel pretty good going back to back." Trotz was pragmatic about the quick turn around with a trip to Dallas for a game on Friday night. "It is what it is. We've got to play back to backs and we'll drain the tanks tomorrow and then have two days off." The Predators will return home after Friday night's game against the Stars and regroup for the morning skate on Monday to prepare for the evening clash with Detroit at the Bridgestone Arena. An easy pick for the best blooper of the year from Puck Daddy was Craig Smith's "miss." Bryan Mullen has a nice feature about the variety of stories of the Predators' dads from the annual fathers trip. Dirk Hoag has a post on Lane Lambert's transition from the AHL to NHL. With the World Juniors starting on Boxing Day, Jim Diamond talked to Nick Spaling about his missed opportunity due to illness. Ryan Porth talked to Bale Geoffrion and Jon Blum about using their demotion as motivation to improve. Mike Organ has the story of Brent Peterson's surprise visit to Centennial after his recent surgery. In his notes, he reports that Kevin Klein is still ailing from the flu. Later word from today says Klein will be out until at least Tuesday and that Pekka Rinne is scheduled to start back to back games tonight and in Dallas on Friday. The Milwaukee Admirals prove to have no vocal abilities in this version of the players' 12 days of Christmas. Up to fifty folks are expected to participate in the Surfing Santa event on Christmas Eve in Cocoa Beach to raise gift cards for underprivileged kids. Austin Watson, the Predators' first pick from the 2010 NHL Entry Draft, was named to the final roster of this year's Team USA for the upcoming World Junior Championship that begins on Monday. Here is the link to the complete final roster and schedule of games involving Team USA. All games will be televised by NHL Network in the US and will be highlighted by a meeting with Team Canada on New Years' Eve. Here is a compilation story from Predators.com. While most folks are planning to wind down for a long holiday weekend, the Nashville Predators begin a busy three game stretch that will have major implications in their ability to return to the top eight in the Western Conference. The Preds will host Columbus tonight, fly to Dallas for a game tomorrow, and then play Detroit at the Bridgestone Arena on Monday after a brief 48 hour Christmas break. Dallas and Detroit are ahead of the Preds and Columbus is buried in last place, making tonight's game a must win situation for Nashville. This will be the fourth meeting of the season for the Preds and Jackets. To this point, the road team has won every game. In the season's opening game, the Preds won 4-3 at Columbus and that was followed with a dramatic win there on December 8 when the Jackets collapsed and allowed the Preds to win 4-3 in overtime after the Preds did little for 58 minutes. On November 19, Columbus won for the first time in Nashville in 18 attempts when they held on for a 4-3 overtime win. Nashville holds a 21-2-(1)-1 record over the last ten years at Bridgestone Arena and Amanda DiPaolo has pointed out that Columbus has never won two games in a row in Nashville. As always, when the Preds and Jackets meet, you can expect to see fisticuffs as Jordin Tootoo and Brian McGrattan should dress and find suitable dance partners early in the contest. After taking a night off on Tuesday, it is expected that Pekka Rinne (15-9-4, 2.48, .924) will return to the net for the Predators. It is less clear who will be in net for the Jackets. Curtis Sanford (5-5-3, 2.42, .914) was in agony on Sunday but claimed to be ready to go yesterday. Steve Mason (4-14-1, 3.52, .880) would be the other option. Update: The Morning update from the Columbus Dispatch indicates that Curtis Sanford will get the start. The game starts at 7 p.m. and as usual, it will be another Thursday College Night special. The game will only be available locally on 102.5 The Game Radio and the NHL Center Ice package. For special POTG pricing go here and use the offer code "preds" for discount tickets from Ticketmaster. For other Predator previews, check out Ryan Porth, Amanda DiPaolo, David Boclair, Marc Torrence, Predatorial, The Tennessean, and Predators.com. Ryan Porth also has an audio clip of Pekka Rinne talking about tonight's game. For Columbus previews go to the Columbus Dispatch, The Dark Blue Jacket, and The Cannon. BlueJackets.com has one of the best Media Information sites in the league and it is open to the public. The game notes from NHL Media Services can be found here. Carolina and Versus broadcaster John Forslund was our guest on this week's edition of RLD Hockey Radio. Dmitry Chesnokov says a return to the NHL by Alex Radulov would be tricky. The Predators best bet with Rads is to trade his rights as he could never play enough defense to fit in the Predator system. Hockey's Future has released their latest synopsis of the Nashville Predators top twenty prospects. Dirk Hoag has an audio clip of Elliotte Friedman discussing Ryan Suter and Shea Weber on 102.5 if you missed it. Jeremy Sargent laments the ongoing issue of the Predators giving up the first goal. Ex-Predator Darren Turcotte has been added to the New York Rangers' alumni team that will play a Terry Crisp coached Flyers team on New Year's Eve in Philadelphia. Dave Boehler has 20 questions with good guy, Scott Ford. The Huntsville Times uses the Predators as an example that hockey can survive in the South. Collectors Weekly has collected what they consider the top 12 ugliest Christmas sweaters ever. As a bonus link... Here is a very slow to load link to the first episode of this year's 24/7 from the NHL.com site that does not appear to be publicly linked. The Nashville Predators went down quickly with little resistance early and never were able to catch up in spite of much better play in the final two periods on Tuesday night at the Verizon Center. The Predators had plenty of opportunities on the power play, which has been their bread and butter recently, but never converted. After pulling close at 2-1 in the final period, two quick Caps goals were the nail in the coffin for the Preds. Including the preseason, the Preds were 3-0 against the Caps this year so it was an uphill battle to try to pick up a fourth straight win. The Caps had not gained much traction under new coach Dale Hunter but may have turned the corner against the Predators as their top players broke into the scoring column and Alex Ovechkin looked better than I have seen him play this season. The schedule gets no easier at this point as the Preds host Columbus tomorrow night and then go to Dallas on Friday before playing Detroit at home on Monday. The Nashville Predators tried to play their usual rope-a-dope game but the 2-0 rope they handed the Washington Capitals in the opening period ended up being too much to reel back in. After a good second period when the teams were scoreless, the Preds came close in the final period when they pulled within one at 2-1, but two quick goals in the third period by the Caps ended any miracle comeback hopes for the Preds. The Caps got goals from Alexander Ovechkin, Nicklas Backstrom. Alex Semin, and Troy Brouwer while the Preds' lone goal came from Sergei Kostitsyn. Michal Neuvirth stopped all but one of the Predators 21 shots to pick up the victory while Anders Lindback gave up four goals on 23 shots to take the loss. Alexander Ovechkin was clearly the difference maker for the Caps as he played with enthusiasm unseen during this season. In addition to his goal, he had seven shots and three big hits. The Predators returnedf home after the game and will face Columbus on thursday at 7 p.m. at the Bridgestone Arena. Late news today from Josh Cooper has the revelation that Anders Lindback will get the start against the Caps tonight. He also has insights from Jon Blum and Blake Geoffrion on their visit to Milwaukee. He also reports some of the dads, including Bob Suter, went to visit the White House. Josh also has a feature on David Poile discussing the Capitals' new coach, Dale Hunter. 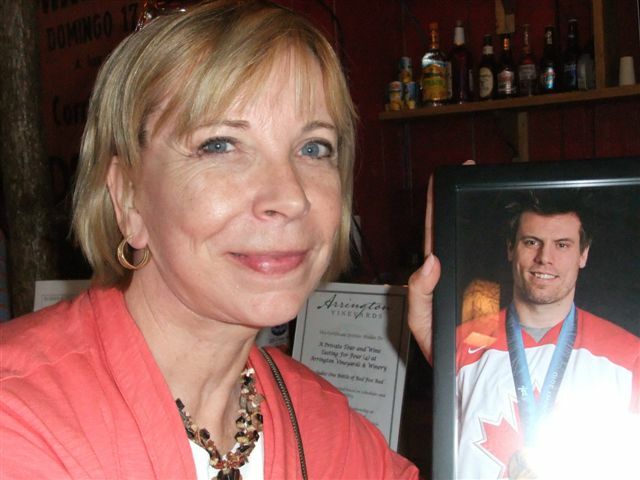 Ryan Porth talked to Brian McGrattan's dad about the excitement of making the fathers trip. Jim Diamond has the story of Craig Smith's dad making the trip to DC. AJ at Preds AJenda feels that the belief is back at Bridgestone Arena. Predators.com has a wide ranging look at the busy week ahead. The Hockey Writers looks at the disturbing trends during the Predators' five-game winning streak. ESPN has the story of Pekka Rinne's rise in fantasy value. Laura Astorian of Thrashing the Blues was in town last week for the Predators-Blues game and had a positive experience and said "this is what hockey is in the South. An identity, tie in to the city's culture, solid owners and management - all this lures a huge and passionate fanbase to Smashville." It was nice meeting her and for her understanding of what Smashville is all about. It turns out that crowd behavior varies throughout the world. This is interesting stuff from the Economist. The Nashville Predators have ventured into the nation's capitol to face the Washington Capitals (6 p.m. FS-TN) in the Preds' annual fathers trip where the players reward their dads for all their efforts in their early careers that allowed the players to reach the NHL by bringing them along to a road destination. The team has generally had success when the dads have tagged along and it is an especially nice touch this year for the Preds' players when the NHL schedule makers piled on a ton of games before and after the Christmas weekend with the team hosting Columbus on Thursday, traveling to Dallas on Friday, and then having Detroit in on Monday. In a rare quirk of the schedule, this will be the fourth time that the Predators and Capitals have met this season, including a pair of preseason games. They first met on September 20 in the Baltimore Hockey Classic when the Preds won 2-0. They played a second exhibition game in Nashville on September 28 when the Predators won 4-1. In the regular season, Nashville beat the Caps 3-1 at the Bridgestone Arena on November 15 in a thrilling game when all the scoring took place in the last five minutes of the contest. Since the last meeting, the Caps had a major shake-up when they surprised the hockey world on November 28th with the firing of Coach Bruce Boudreau who had gone 12-9-1 for the season after a 7-0-0 start. The teams fortunes have not been much better under new coach Dale Hunter, going 4-5-0 since the change. The Predators are riding a five game win streak that has been somewhat shaky as they have now reached a streak of ten one-goal games when they have gone 7-3-0. It is expected that Pekka Rinne (15-9-4, 2.48, .924) will start once again for the Predators while the Capitals have indicated that they will start Michal Neuvirth (4-6-1, 3.27, .889) instead of ex-Pred Tomas Vokoun (12-8-0, 2.81, .906). Update from Josh Coooper - Anders Lindback will get the start in DC. On an individual basis, tonight's contest will the the 1000th game of Mike Knuble's NHL career so there will be plenty of accolades thrown in his direction. The Predators will return home immediately after the game and practice at Centennial Sportsplex on Wednesday at 11 a.m.
For other Predator previews see Ryan Porth, Amanda DiPaolo, Robby Stanley, Predatorial, The Tennessean, and Predators.com. Ryan Porth also has an audio clip of Mike Fisher previewing tonight's game. For previews from Washvington check out Caps.com, Washington Times, Washington Post, Japers Rink, On Frozen Blog, Rock the Red, Capitals Outsider, Russian Machine Never Breaks, Capitals Examiner, and Kings of Leonsis. For the game notes from NHL Media Services go here. Until David Poile gets Ryan Suter and Shea Weber's name on a new contract, stories like Elliotte Friedman's will continue to proliferate. The one quote is too good not to repeat, "opposing GMs drool over Suter and Weber like college freshman at their first spring break wet T-shirt contest." The post also has a discription from Cody Franson comparing the two D-men. Josh Cooper's round-up includes the fact that no one was pleased with the miscues that led to the Blues picking up a point on Saturday night. Paul McCann also has an uneasy feeling about the Predators five game win streak. David Boclair discusses the interesting revelation that we heard on Saturday night that Barry Trotz looks into the stands and lets the crowd tell him what happens in shootouts. Dirk Hoag looks to the week ahead for the Predators. J.R. Lind looks at Phil Bredesen's gambles fifteen years later. Admirals Roundtable has the wrap-up from Milwaukee's 2-1 weekend as they head into the week long Christmas break. If you haven't started stocking up on 100 watt incandescent light bulbs, it may bee too late. They will be illegal to sell after 12/31/11. Pekka Rinne, goalie for the Nashville Predators was named the NHL Second star of the week on Monday. From NHL.com, "Rinne has won five consecutive starts after going 3-0-0 with a .957 save percentage last week for Nashville. A finalist last season for the Vezina Trophy, the fourth-year starter led the Predators to three one-goal victories: 2-1 over the Flames, stopping 35 of 36 shots; 4-3 over the Central Division-rival Red Wings, making 37 saves on 40 shots; and 2-1 over the surging Blues to cap off his week, facing 40 shots again and turning aside 39 of them." Ottawa Senators forward Jason Spezza was awared the first star and Pittsburgh Penguins forward Evgeni Malkin got the third star. As had been anticipated, Jon Blum and Blake Geoffrion were recalled from Milwaukee before the NHL no movement period went in force from December 19 to 27 to give the Predators a spare player on both offense and defense as they play four critical games during the nine day period. The pair played in three games with the Admirals over the weekend while the Predators played Saturday's game against St. Louis with only twenty players. In Milwaukee, Blum scored two goals on five shots and was a (-1) in the three contests. Geoffrion had an assist and added two shots and was even on the plus/minus. What a difference eleven days makes. On Tuesday December 6, after the Predators had lost to Phoenix 3-2 at the Bridgestone Arena which dropped their home record to 4-5-3, Coach Barry Trotz was searching for answers. The Predators had gotten no traction all year and had not pieced together more than two wins in a row at any point in the season which was headed toward the most extensive stretch of home games of this year's schedule. Trotz was trying to make sense of the Predators inability to have consistent results and said, "I'm not looking for any big runs, like five or six games together. We've got the mentality that there is so much parity in the league that if you take two out of three from now to the end of the season then we'll be in good shape." Since that night, the Predators had a miracle finish in Columbus, scoring two goals to tie on the goalie pull, and another to win in overtime, and then put together a streak of four wins at home, in stunning fashion, to give Trotz the five game win streak he thought was unobtainable just days before. When asked about the streak after Saturdays's 2-1 shoot-out win over St. Louis, Trotz explained his prior thoughts. "You don't expect it (win streak) because of parity in the league. Every game is like a playoff game and you have to be focused and prepared. If you are not, that's how you get blown out." "That's why I talked last week and you see some of those teams in the league where one night you are 3-2 against a team and then the next night you play them and it's 8-1. That's the National Hockey League right now which is great for the fans and it's great for the entertainment value but it's tough on the heart and the nerves every night." Things will not get any easier for Barry Trotz's heart in the coming weeks as they will face seven tough opponents between Tuesday's clash with the Capitals in Washington and Calgary's New Year's Day match at the Bridgestone Arena. The Predators are only off on Christmas Eve and Christmas and other than that will be playing seven games in the eleven days NHL games are scheduled. Last night's 2-1 shootout win by the Nashville Predators over the St. Louis Blues was an important win for the team. It capped a four game home stand sweep after they had won only four games at the Bridgestone in the entire season prior to last weekend. The Predators' dominance on home ice has been a key to their success where they have averaged a 26-11-4 since the lockout in 2005. This year, they are now 8-5-3 in Nashville and appear to have righted the average play at home that has been predominant since the start of the second round of last year's playoffs. In spite of the recent success, the next part of the schedule does not get any easier. The Preds will play in Washington on Tuesday against an up and down Caps team that is 10-5-1 on home ice. Then a back to back on Thursday and Friday with Columbus in Nashville and then a quick trip to Dallas have to be considered must win games. The team will have little chance to celebrate Christmas as they play Detroit at home on Monday which will be followed by Minnesota on Wednesday and then they go to St. Louis on Friday. So basically, the team will play six games in nine league game days (excluding the two day holiday break). This coming run of games should be a litmus test for the Predators to see if the five game winning streak was a fluke or something to expect going forward. The Nashville Predators picked up two points with a 2-1 shoot-out win over the St. Louis Blues on Saturday night but were somewhat frustrated that the Blues also captured a point. After a scoreless first two periods, the Predators broke through on a finely executed Shea Weber to Marty Erat pass with 7:28 remaining in the contest. Less than three minutes later, the Preds were called for too many men on the ice, giving the Blues a their fifth power play of the evening. During the man-advantage, a bad line change quickly led to a goal by T.J. Oshie with 3:52 left in the contest that forced overtime and gave the Blues a point. The Predators were forced to kill another penalty (slashing) by David Legwand, starting at 18:31 in the third period and carrying over into overtime before holding on for the skills contest were Legwand was the only scorer to give the Predators the victory, and the second point. Legwand was pleased with the victory but frustrated that it wasn't a regulation win. "It's tough, but it starts with the bad penalty with too many men on the ice. Then, we have to be sure with four minutes left that we make a good change and get guys on and off the ice correctly." This weeks edition of Smashville on the Glass Radio features St. Louis beat writer Jeremy Rutherford discussing tonight's game as well as plenty of other Preds discussion from Ryan and Buddy. For the second time in three days the Nashville Predators will have an opportunity to make up ground on a team that they are chasing in the Central Division standings when they take on the St. Louis Blues tonight at 7 p.m. at the Bridgestone Arena (FS-TN). The Predators come into the game with a four game winning streak on the line after they beat the Detroit Red Wings 4-3 in a huge comeback win on Thursday night. The Predators currently sit in seventh place in the Western Conference with 36 points. The Blues enter tonight's contest as one of the hottest teams in the NHL, having won four in a row and sporting a 12-2-3 record since Ken Hitchcock took over the coaching reigns from Davis Payne on November 8. The Blues are three points ahead of the Predators with 39 points and reside in fifth place in the West. The Nashville Predators announced that Kyle Wilson had been reassigned to Milwaukee. The move is somewhat surprising as it leaves the Predators with only 20 active players on their roster with the holiday roster freeze starting on December 19 and running until December 27. To the average Middle Tennessean, it is a cold, rainy, miserable, Friday morning but the 17,113 residents of Smashville are walking on sunshine this morning in spite of the physical elements. Last night, the Nashville Predators provided fans with excitement that had not been seen to that degree in a in a long time. During the team's comeback in the final period, Bridgestone Arena was a loud as can be recalled during regular season game. Barry Trotz coined a new phrase to capture the spirit of the situation and label it the "miracle moment." It was a spontaneous response that Trotz had to describe the feeling in the building that will be used for years to come and will probably end up on gold colored T-shirts in the near future. The Predators have now won four in a row and appear to have righted an inconsistent ship on home ice. They are clearly back in the playoff mix in a highly competitive Central Division and Western Conference. It is the type of hockey that the Predators need to play for the rest of this season, and going forward into their new conference next season. If the new set-up were in place this season, six of the top seven teams in the Western Conference would be in the yet to be named Predators' grouping. The Predators will practice today and then wind up the home stand against St. Louis on Saturday night where they hope to extend the win streak and make up ground on the also red-hot Blues. The Nashville Predators won their fourth game in a row on Thursday night at the Bridgestone Arena in what may have been the biggest win of the season. Not only did the Predators come back with three unanswered goals to defeat the Detroit Red Wings 4-3, they managed to do it in regulation time. When Shea Weber scored his second goal of the final period with 1:36 remaining in the contest, it sealed two points for the Preds and prevented the Wings from picking up a point since overtime was avoided. The win pulled the Predators within three points of the Red Wings and allowed them to also stay within three points of St. Louis in a Central Division race that would have four teams in the playoffs if they were to begin today. Chicago was idle and has a three point lead on the Wings and Blues. The Nashville Predators and Bridgestone Americas, Inc have added another five years onto their initial five year naming rights agreement less than two years into the original agreement. The agreement was announced at a cake-cutting ceremony at the Bridgestone Arena today celebrating the 15th anniversary of the arena being in operation. This continues the recent trend of the Predators strengthening thier ties with the local business community in all forms of advertising and other participation. The Nashville Predators are having a special Hockey and Heels (Hockey 101 for Women) event for the ladies this Saturday before the game with the St. Louis Blues. If you are looking for a stocking stuffer for a special lady that you want to introduce to hockey or if you are a woman that just wants to hang out and talk hockey over a glass of wine with like minded ladies then this event may be for you. It is from 5:00-6:00 p.m.and will feature Preds' TV guys Pete Weber and Terry Crisp along with their better halves, Claudia Weber (left above) and Sheila Crisp (right) talking hockey from the female perspective. 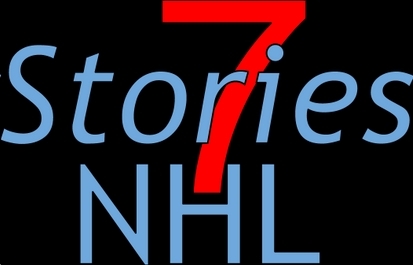 Topics covered will be the basic rules of the game of hockey, equipment used by the players, and the very interesting life as spouse of someone that works in the NHL. The cost is $75 and includes a Lower Bowl End Zone ticket for the game with the Blues at 7 p.m. Additional game tickets can be purchased for $50 for non-attendees. For more information or to sign up go here. It sounds like a good time will be had by all. The Nashville Predators are taking their season high three-game winning streak up against traditional divisional rival Detroit who is also on a three-game streak and has won all of their games in prior streaks of five, four, and seven wins this season. For 13 seasons, no team has spelled "rivalry" like the Detroit Red Wings for the Predators and their fans alike. For the team, the measuring stick for Nashville has been the Wings. The fans have negative chants about the Wings whether they are in town or not. For eleven of twelve prior seasons, Detroit has blocked Nashville's shot at a Central Division title. Twice, the Preds have been stymied in the first round of the playoffs by the Wings. With last night's 2-1 win over Calgary, the Nashville Predators now have their first three-game winning streak of the season and improved their home record to 6-5-3. The victory also moved them back into the playoff picture in the Western Conference as they now sit in seventh place with a 15-11-4 record and have 34 points. For Predator fans, probably the most surprising aspect of this year's team is the success that they have had on the man-advantage. The Preds have moved into a tie for third place in the NHL in power play success at 20.8%. Colin Wilson's game-winning power play goal last night gave the Preds a six game streak with power plays which is a rarity in recent team history. The record for consecutive games with a power play goal is nine which was set in 2002. They last had an eight-game streak in 2009. Brent Sutter blamed an odd face-off alignment that he claims led to Wilson's game-winning goal for the loss. More highlights from the game with the Flames included the Preds most shots of the year at 45, the Predators winning at home against Calgary for the first time since January 25, 2008, and Nashville scoring the first goal for the first time in eight games. The Predators continue their homestand with games against the Detroit Red Wings on Thursday and the St. Louis Blues on Saturday. Colin Wilson is playing in his third season with the Nashville Predators and he is starting to play with the consistency and confidence that the coaches have been expecting since he was drafted seventh overall in the 2008 NHL Entry Draft. On Tuesday night at the Bridgestone Arena, Wilson's power play goal, 3:31 in to the final period was the game winner in a game that produced 81 shots but only three goals. Pekka Rinne out-dueled fellow Finn, Miikka Kiprusoff, stopping all but one of Calgary's 36 shots. Kiprusoff also had an excellent performance stopping 43 of 45 Preds's shots but came up on the short end of the 2-1 score. Wilson played all 82 regular season games last season but lost the confidence of Barry Trotz in the post-season and did not play in the until injuries brought him back into the lineup. Over the summer, Wilson worked diligently on his game and employed the aid of a "mental coach" in order to improve his focus and consistency. All of his off-season efforts are paying off. Wilson explained, "I worked really hard during the summer and at the same time I'm starting to adjust to the game. It's starting to slow down a little bit. When I first came into the league it seemed so fast and now it has slowed down." In an effort to get more playing time for their players of the future, Blake Geoffrion will join Jon Blum in Milwaukee, playing top line minutes for the Admirals. Geoffrion has been out the last six games with an upper body injury so he will now be in a position to play his way back into shape. Based on quotes that Josh Cooper obtained this morning from Barry Trotz, the move is not unexpected. Ryan Porth talks with Frankie Bouillon to preview tonight's Predators contest with Calgary. The Canadian Press gives glowing reviews to Jerome Iginla and the Calgary Flames' recent play. Tonight's game with the Preds should be a good test for both teams if they are in top form. David Boclair thinks he is seeing the Sergei Kostitsyn of late 2010 all over again. Mike Organ looks at the Predators' increased success on the man advantage and the changes that brought on the improvement. Dirk Hoag has a more in depth look at the driving forces behind the improvement with all the facts and figures to explain the difference. Paul McCann answers a few interesting questions from England in his mailbag. How do they hear the Nashville being a "franchise in trouble" all the way over there? Today's version of 15 years in 15 days of Bridgestone Arena moves up to 2009 and features a video interview with Chaz Corzine, a music professional who lives in Middle Tennessee. The FCC is expected to pass legislation today that will go into effect next year that will limit the average volume of commercials to the same level as the programs that they accompany.